Melanie Taylor was born in New Orleans on New Year’s Day to a classical pianist mother and a family of artists. Melanie Taylor’s rich, eclectic musical heritage has helped guide and define her own artistry ever since. She is deeply inspired such diverse and unique artists as Joni Mitchell, Billie Holiday, Stevie Wonder, Miles Davis, Donny Hathaway, and the poetry and writing of E.E. Cummings, Pablo Neruda, Stephen King and Toni Morrison. As one of Bette Midler’s infamous and legendary Harlettes for nearly a decade, Melanie has been seen twirling and singing on the Emmy Award-Winning HBO Special “Diva Las Vegas,” as well as a 6-week sold-out engagement at Radio City Music Hall, and in a millennium photo essay in Rolling Stone magazine. 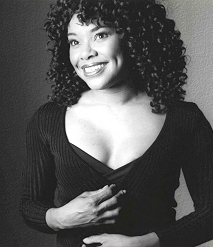 Her notable television credits as a vocalist and/or actor include: MTV, American Idol, VH1, Jay Leno, David Letterman, Oprah, American Bandstand, Bette, Ally McBeal, The Guardian, Boston Public, Jag, and HBO’s Taxicab Confessions. 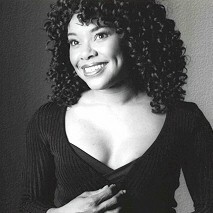 She has been a featured vocalist on tours, TV, and shared the stage with such artists as Bette Midler, Barbara Streisand, Ray Charles, Elton John, Billy Joel, Sheryl Crow, Michael McDonald, Jackson Browne, Sarah McLachlan, Tears for Fears, David Foster, Donna Summer, Michael Bolton, Patti LaBelle, Ronnie Spector, Jeffrey Osborne, Brian Wilson, Jim Belushi, Sheena Easton, Paula Abdul, Carole Bayer Sager and Willie Nelson.